[Update: Clarified] Samsung Has Begun SIM Locking Its Phones Across The World To Home Regions, Putting The Squeeze On Phone Importers? Update 2: Samsung has clarified the issue to Android Central, and it turns out it's actually not all that bad. Here's the gist: if you buy a Galaxy Note 3 (or other region-locked Samsung phone), it must be activated with a SIM in its home region. 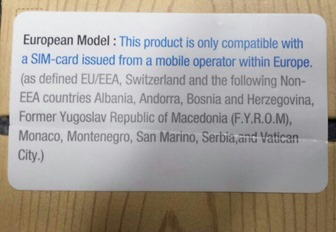 That means you can't import a Note 3 from Taiwan and then activate it in Europe, for example, and if you try to do that, it will lock itself. If that happens, you can go to a Samsung service center (if such a thing exists) and they will unlock the device for you, free of charge, so that you can then use it. If you buy a device and activate it in its home region, the region lock is permanently disabled. You can then roam or use other nations' SIM cards anywhere in the world. The region lock is, as we suspected, designed to thwart phone importers who buy phones from one region of the world and then sell them in another. The region lock will, of course, adversely affect individuals who end up trying to activate a locked phone for the first time outside of its home region (they're bound to get sold online anyway), so it's something to be aware of. But if you're buying your Note 3 through a legitimate channel and then activating it shortly thereafter in the same region, you should be fine. Update: According to many users on XDA, this isn't a typical SIM lock, and uses an MCC-based (Mobile Country Code) lock that will not be disabled using a standard network-based SIM unlock code. The bit doing the locking lives inside the CSC (Consumer Software Customization) package in an MCC whitelist, specifying which country codes the device can be used in based on what regional software variant it is. Modifying the CSC without doing warranty-voiding kind of stuff is also apparently very, very tricky. It's entirely possible a community workaround will emerge, but for now, this basically means that even with a SIM unlock code, phones with this new locking procedure won't function with a SIM that has an MCC outside of the device's home region. This is substantially more burdensome for consumers, and is definitely going to be a pain to deal with. There's been a rather widespread discovery, mostly made by Note 3 buyers, that Samsung has started adorning the boxes of its devices with a new sticker - and that sticker has some bad news. As part of what is apparently a new policy for the company, a number of popular Samsung phones will be SIM-locked to the region in which they are sold. 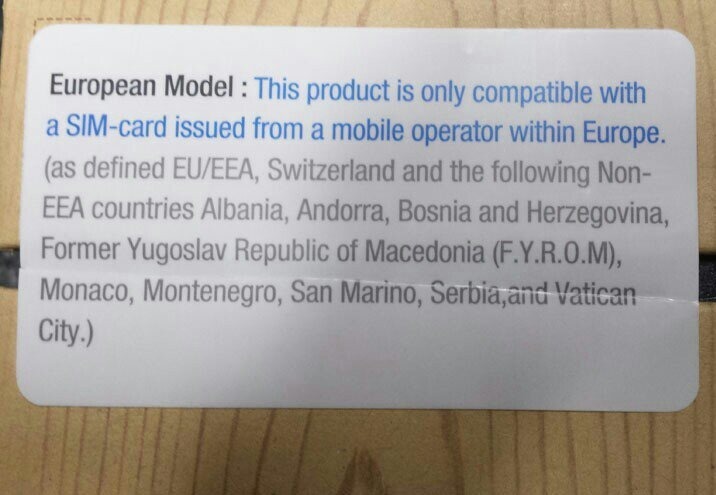 This has been confirmed by many a XDA poster with images of the stickers on devices purchased in the Americas and Europe, though the practice probably extends to other regions, as well. UK retailer Clove was the first to really publicize the news, yesterday. Samsung Germany issued a statement on the matter, which has provided some information on the practice, though does not elaborate as to why phones are now being geographically SIM-locked. You can see that statement here, though if you don't speak German, Google Translate will be necessary. Here are the takeaways, however. 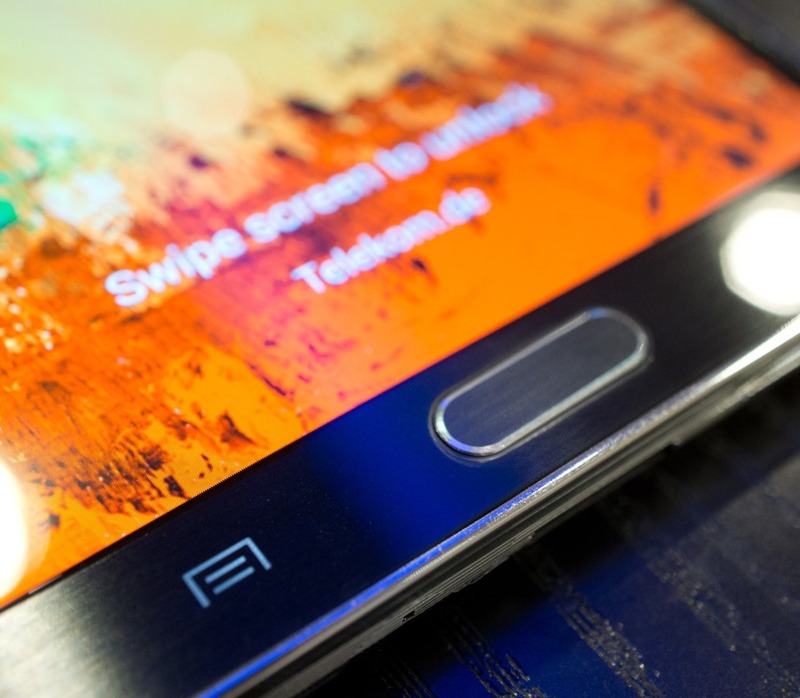 The new policy, at this point, applies to Galaxy S III, S II, Note, S4, S4 Mini, and Note 3 devices produced after the end of July 2013. All regionally locked devices will have a sticker on the box indicating as much. The regional locks cover large geographic areas (eg., a Note 3 purchased in Europe will work throughout the European Economic Area, and multiple non-EU countries / principalities, but not in, say, Africa or Asia). If a phone is purchased in one region but never activated with a SIM in that region, it can be unlocked free of charge outside of that region by a "Samsung service partner" wherever it ends up. 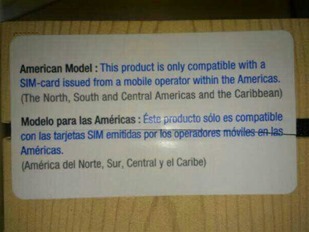 The Americas zone is less clear, but on the box it says "The North, South, and Central Americas and the Caribbean," which should mean pretty much any country encompassed by that statement (but that does not mean US carrier phones will work anywhere in the Americas - they're still carrier locked). Phones purchased in the Americas will not accept a European SIM, or an Asian SIM, and the same is going to be true in reverse for other regions - your Samsung phone is limited to service in the region in which it was purchased. How much of a nuisance is this? Well, if you're tech-savvy enough, it's probably not the end of the world. Phone unlocking services have been around on the web for a long time now, and it seems Samsung's just given them a big boost in business. Most of these services simply require your IMEI and device model number, and of course a bit of your hard-earned cash, and then email you a SIM unlock code to be used when you put in an unauthorized SIM. Enter the code, and the phone is unlocked forever. Update: See update at top - this probably isn't true, it's worse. For the less curious, this will mean more roaming bills to rack up - music to the ears of carriers the world over. But why has Samsung even engaged in this practice? Is there anything to be gained? Possibly. This may be a shot at phone importers / exporters and the retailers who sell imported devices. The phone import / export business lives and dies on things like favorable currency exchange rates, regional pricing / release date variations, and localized hardware shortages. Samsung is taking in the reins on its supply line here by making it a significantly more difficult process to import phones from, say, Asia, and then sell them in Europe or the US. At the least, a retailer would have to go through every single device it sells and generate a SIM unlock code to include with the shipment or email it to the customer - tedious, to be sure. Edit: Sounds like they won't even be able to do that. We'll update this post if we learn more.